Hours: Jan 1-Feb 13: 8 a.m.-4:30 p.m, Feb 14-Mar 12: 8 a.m.-6 p.m., Mar 13-Nov 5: 8 a.m.-7 p.m., Nov 6-Dec31: 8 a.m.-4:30 p.m. 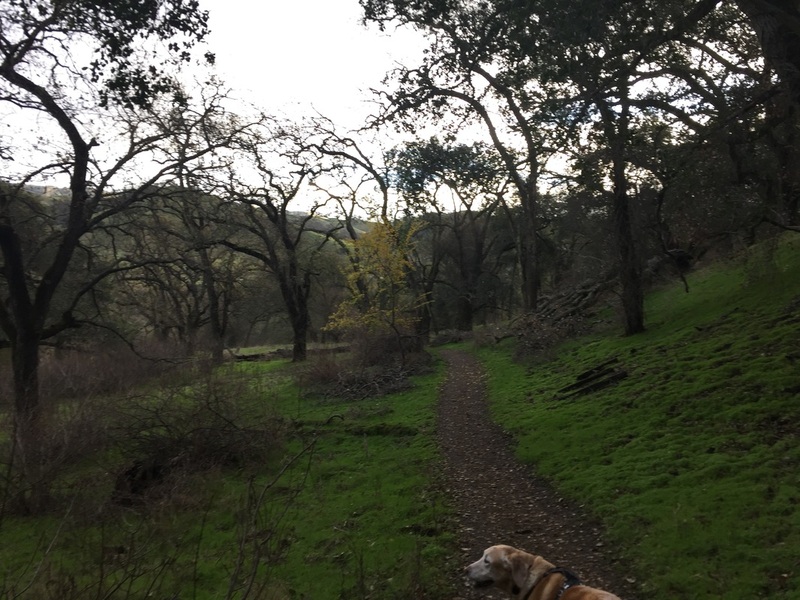 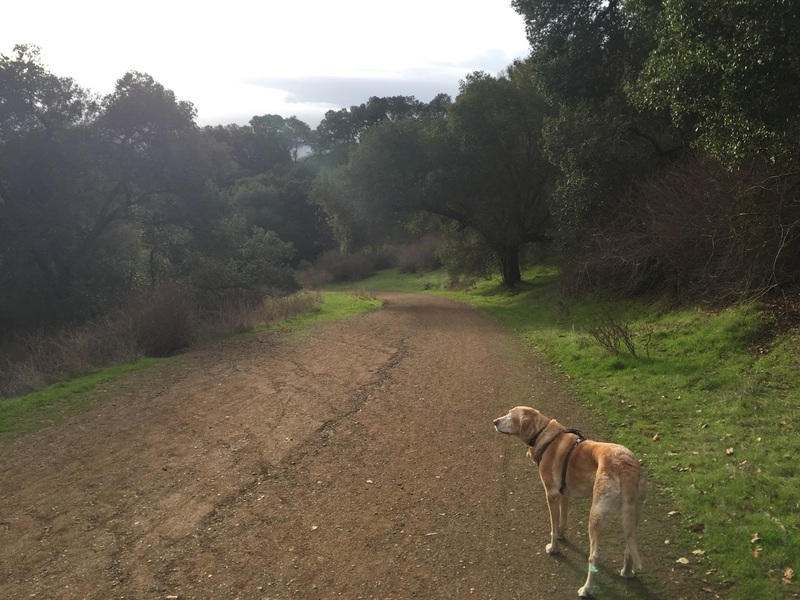 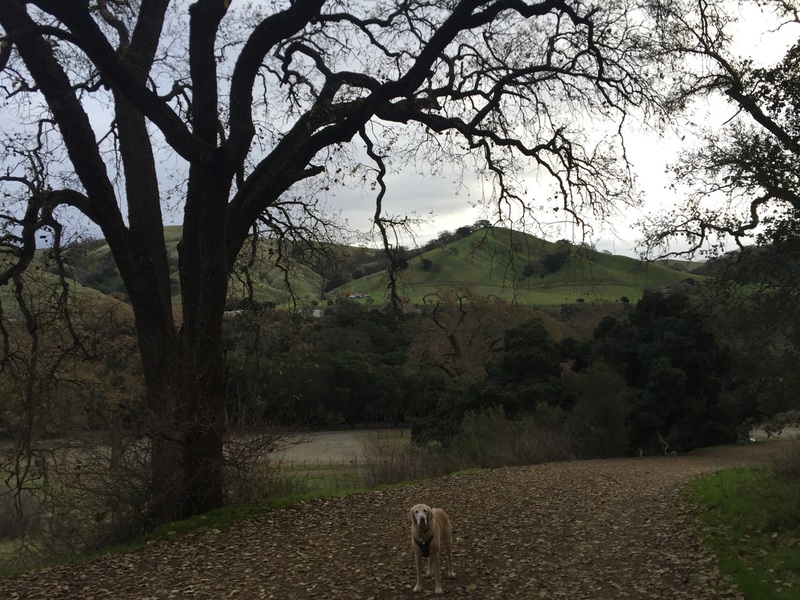 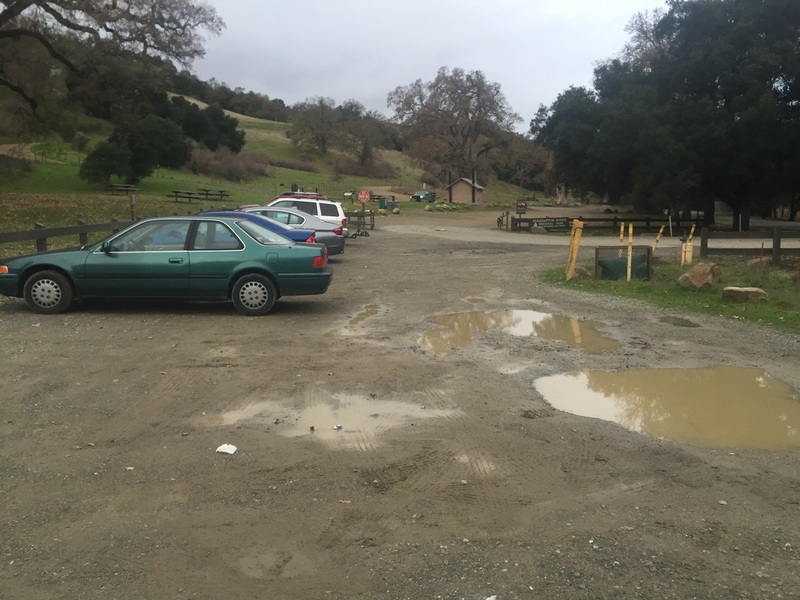 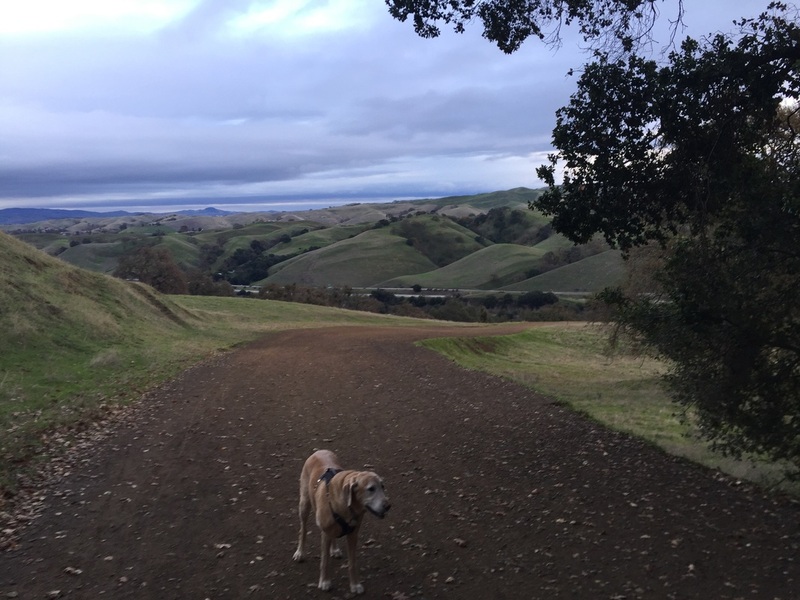 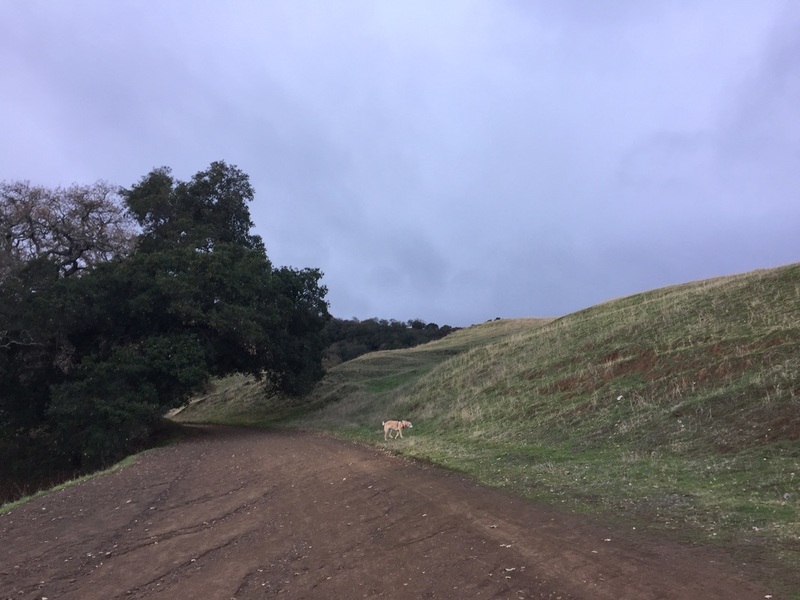 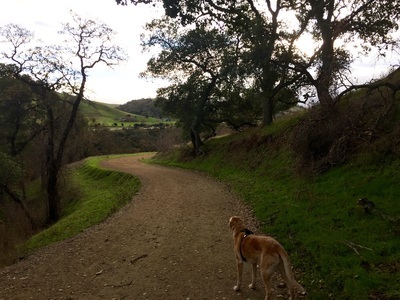 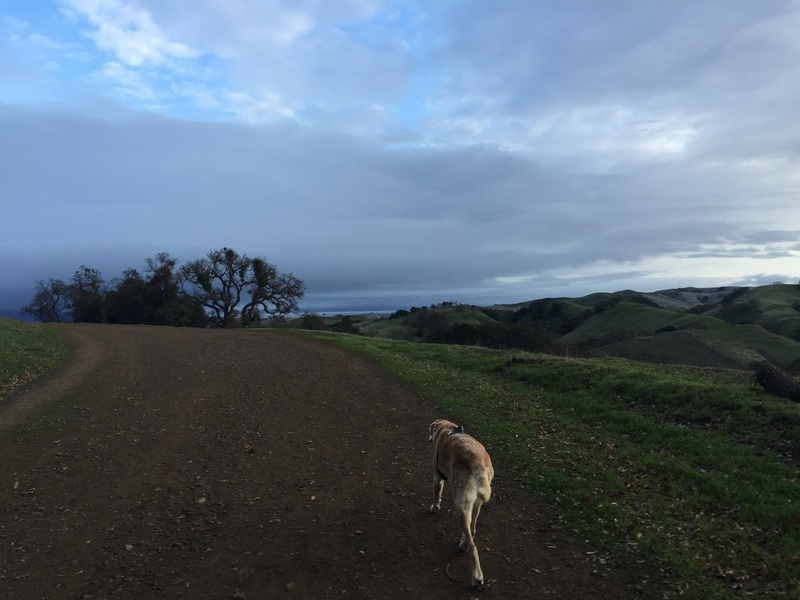 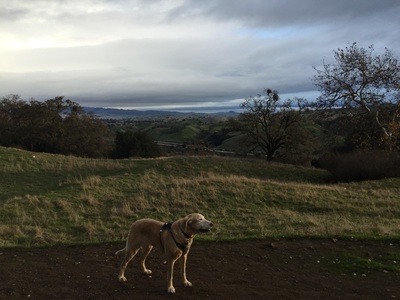 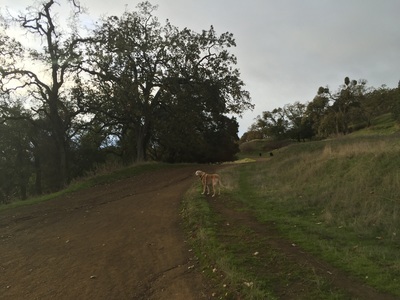 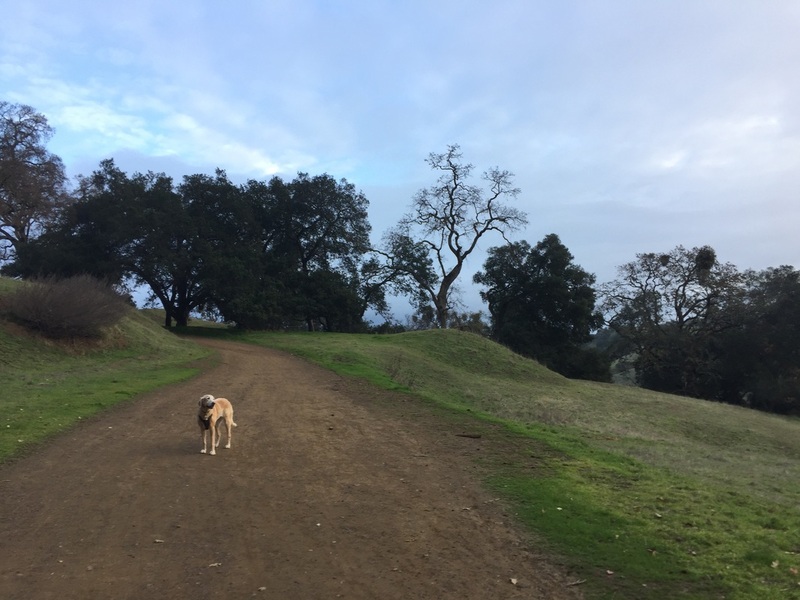 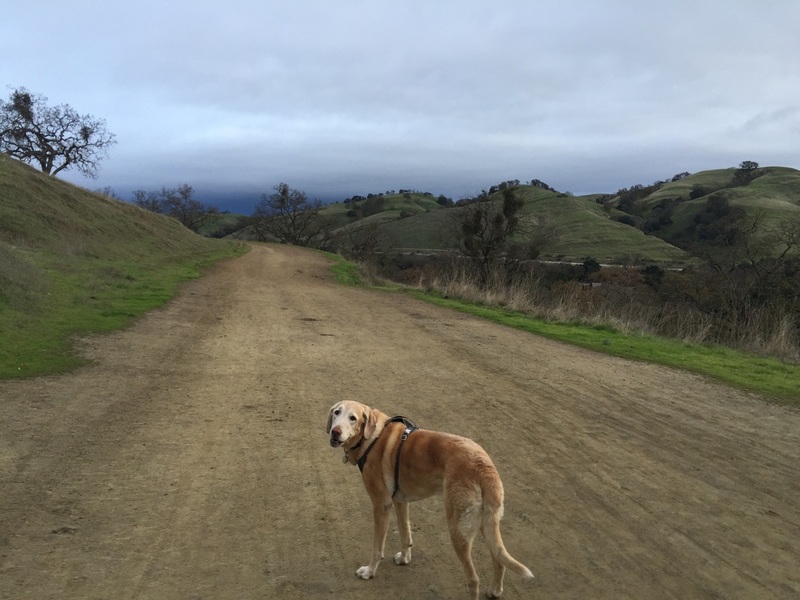 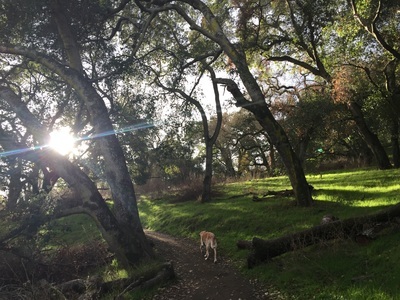 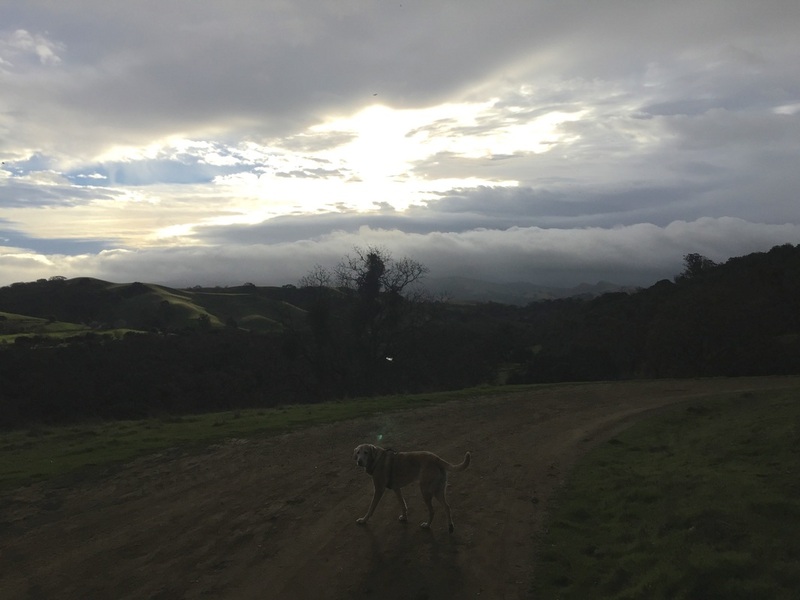 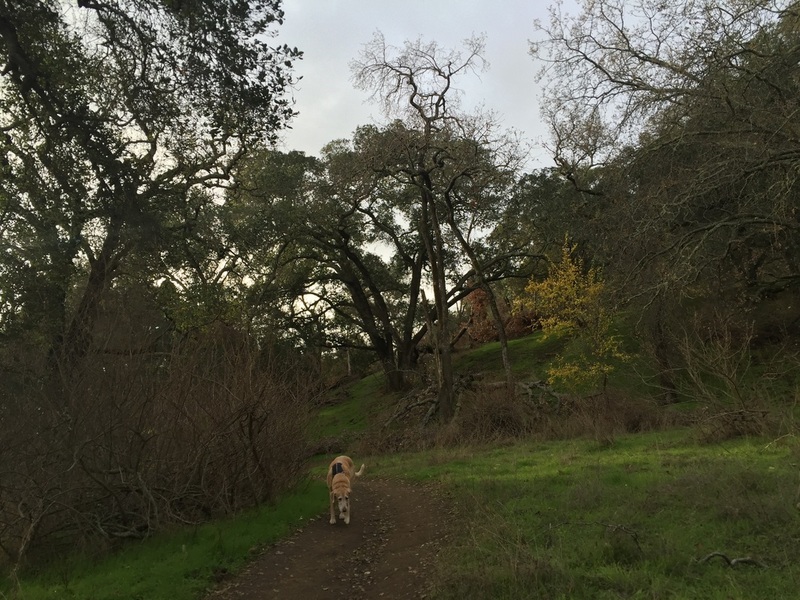 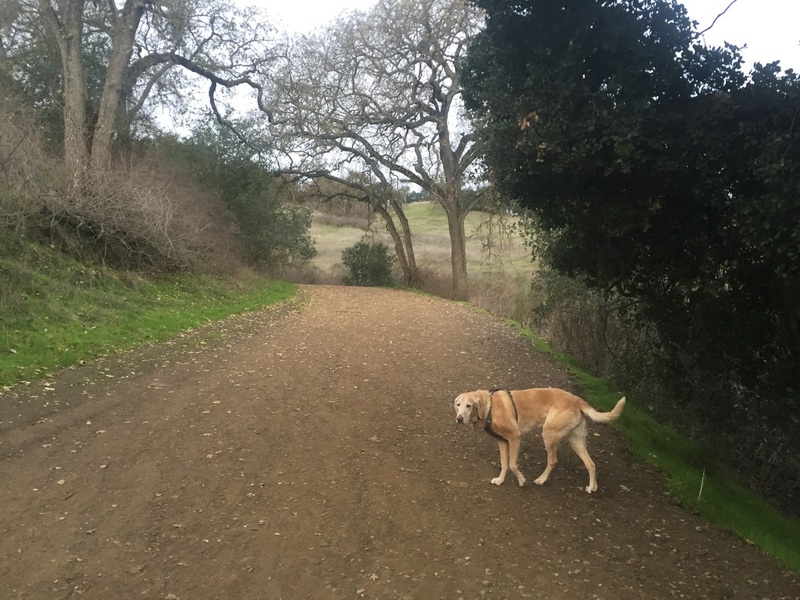 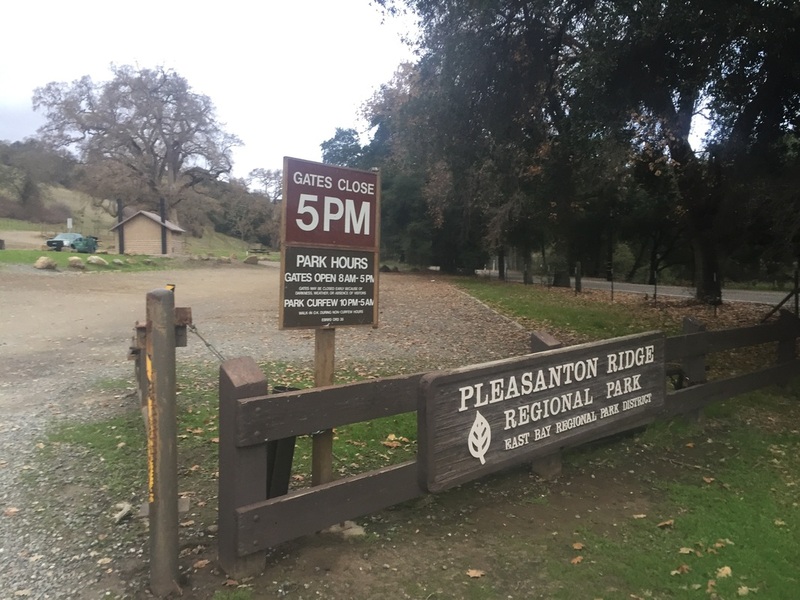 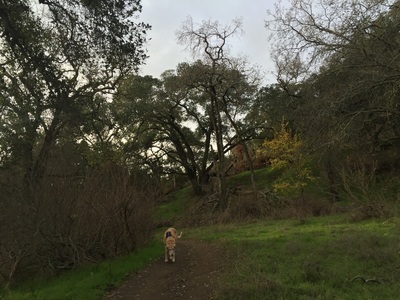 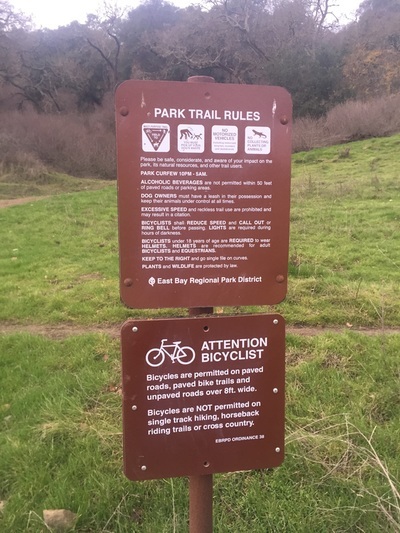 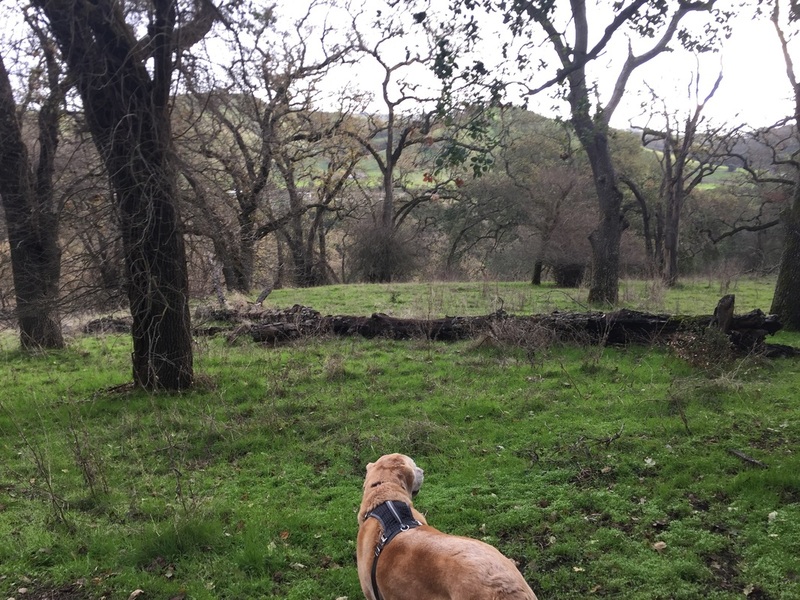 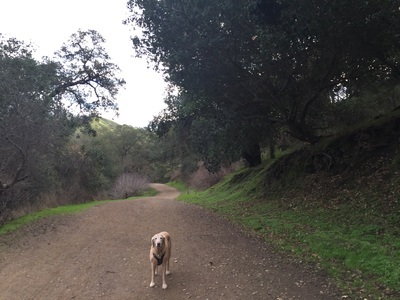 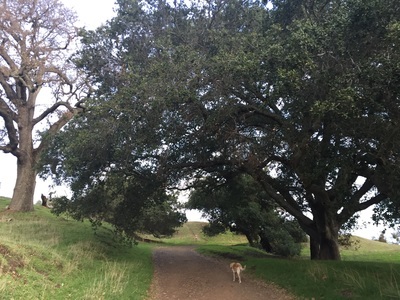 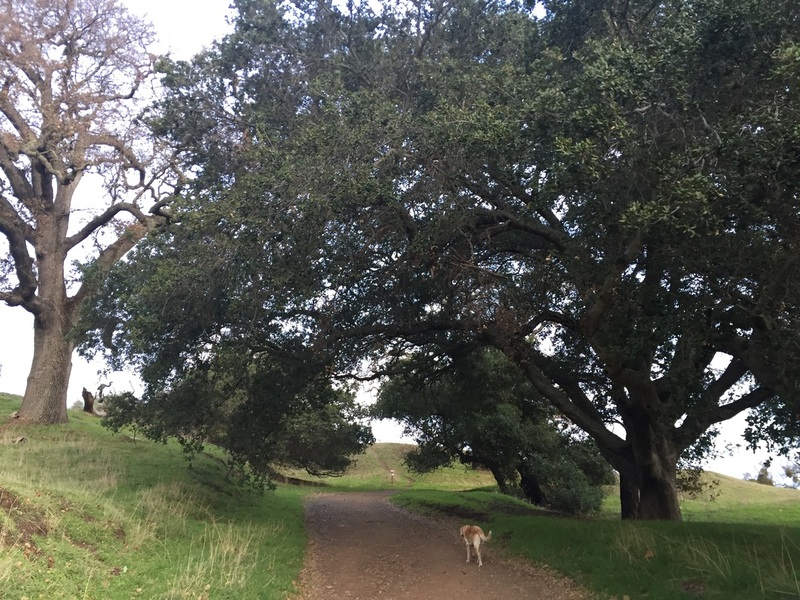 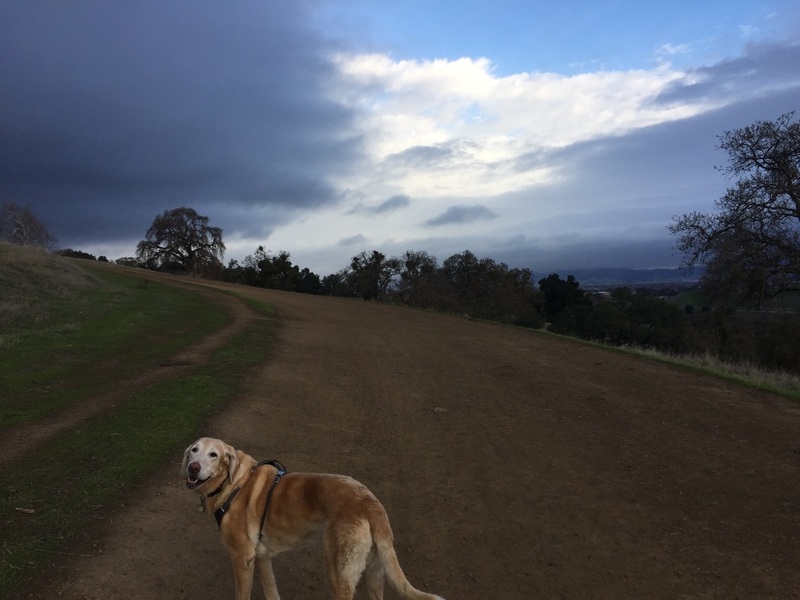 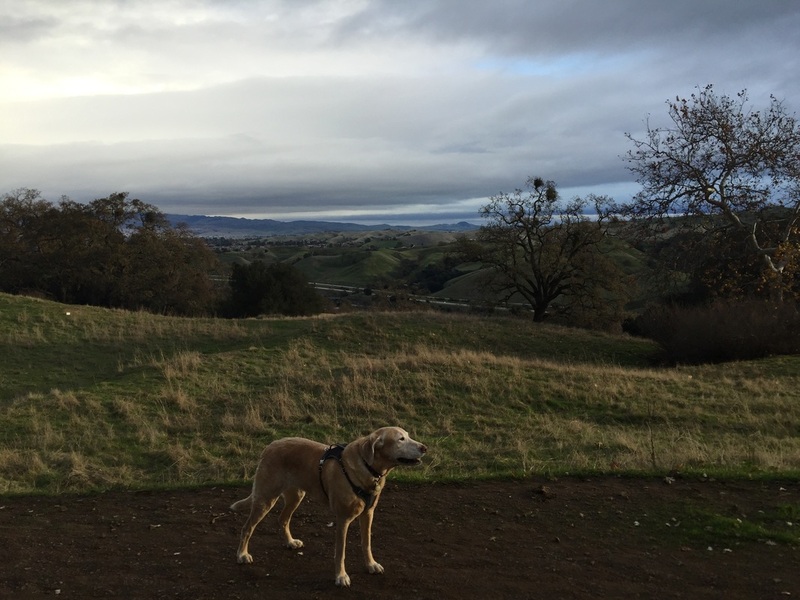 Description: This 5,200+ acre park has as extensive trail system stretching from Sunol to Pleasanton. 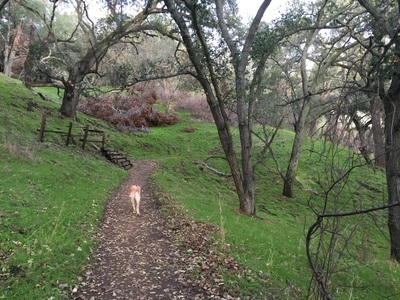 Many of the trails have moderately steep stretches and switchbacks which allow you to reach an elevation of 1,600 feet. 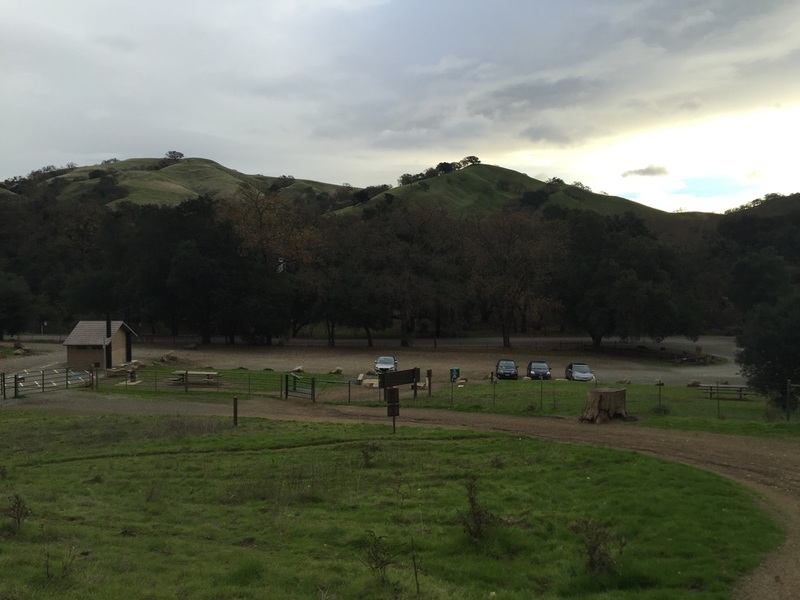 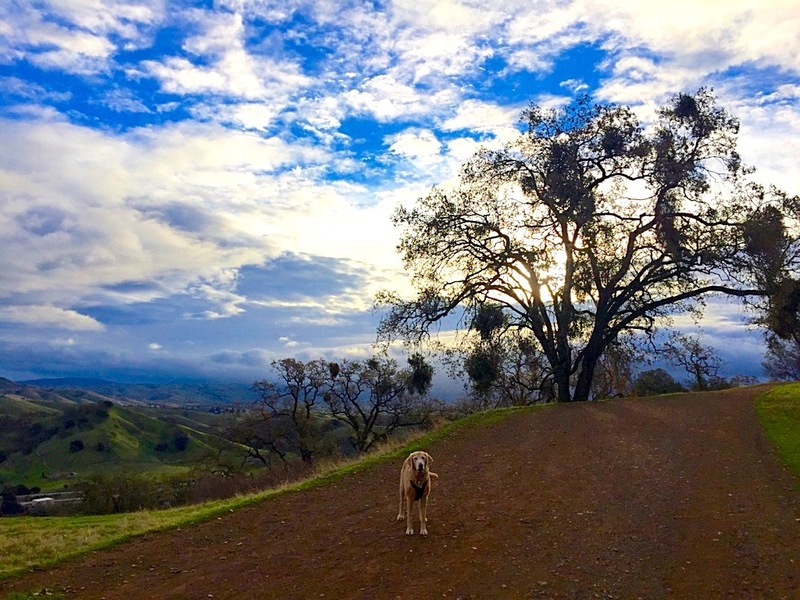 This allows for beautiful views of the surrounding canyon and Livermore valley. Most of the trails are dry and fully exposed to sunlight, so go early on a sunny day. 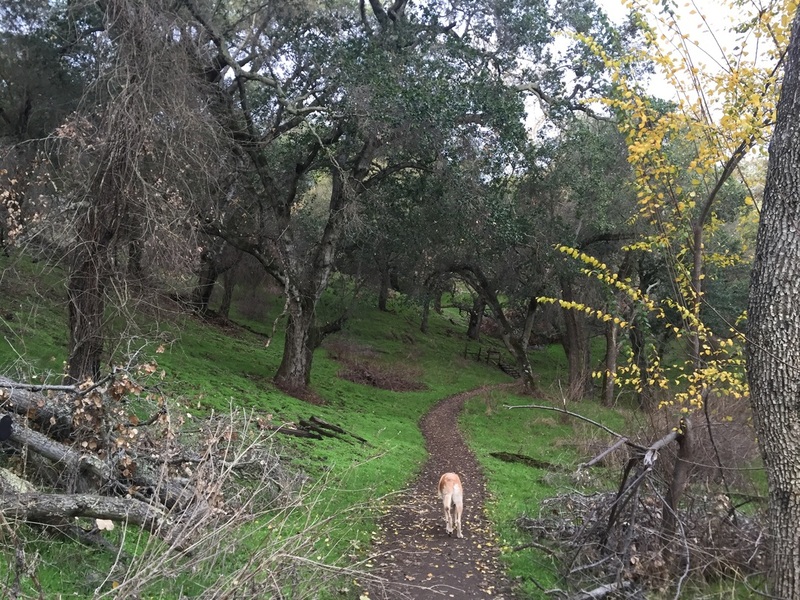 Some of the trails snake through oak tree-lined woods, with beautiful forested areas. Cattle roam freely in the park, so keep an eye on your dog. 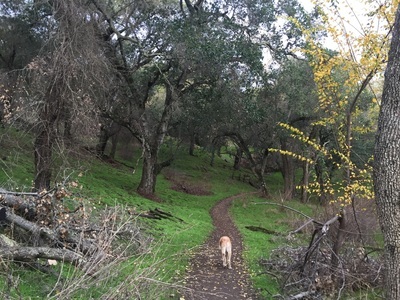 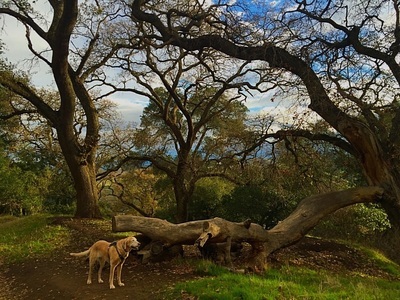 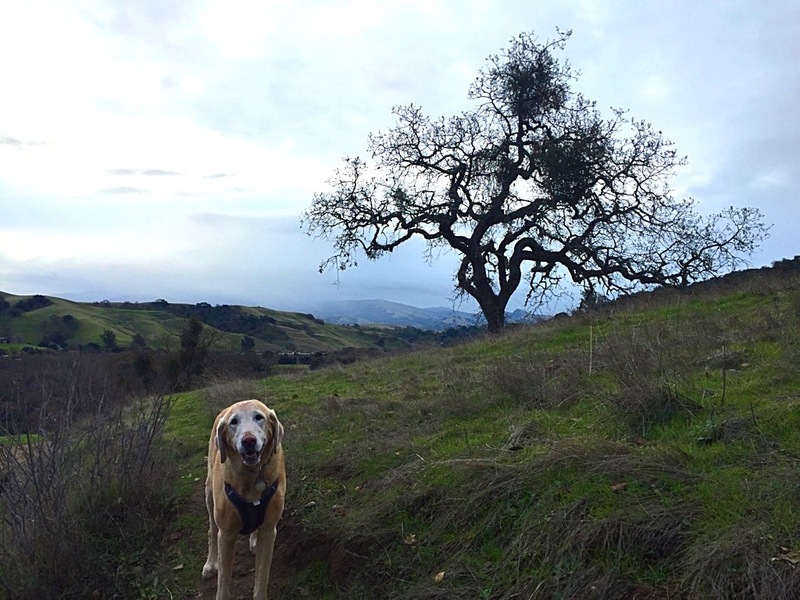 For a roughly 6 mile hike, take Oak Tree Trail to Thermalito Trail, to Ridgeline Trail, to Woodland Trail. 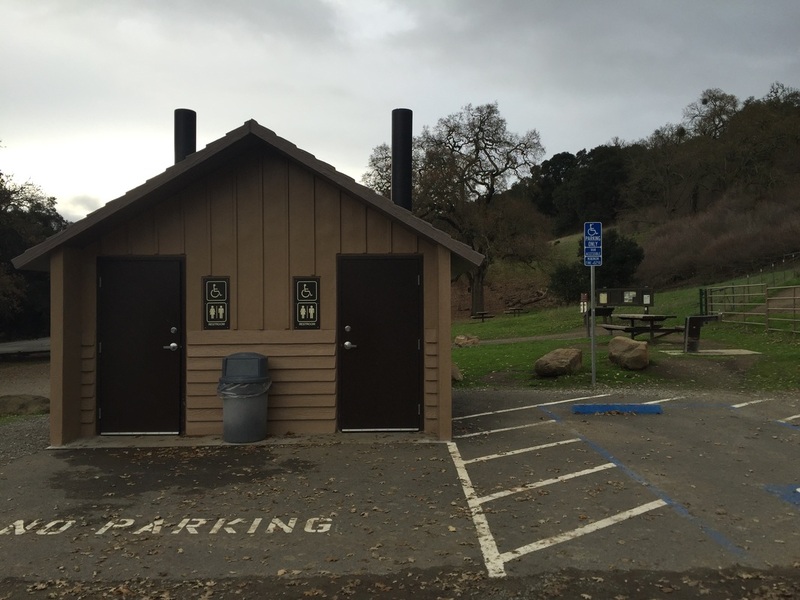 This park has pit toilets, garbage cans and a water fountain.